The Scoop: Learning a second (or third or fourth) language can be challenging, especially if you’re doing it on your own, but self-study resources can help cement those lessons in your mind. The Lingvist app provides an AI-powered curriculum that reinforces the French, German, Spanish, Russian, or Estonian words you know and challenges you to expand your vocabulary by reviewing a curated pile of flashcards. Lingvist supports daters who are learning a language to connect with a romantic partner, and the team has created a new love-inspired course just in time for Valentine’s Day. We look at the classroom as a place for learning, but, more often than not, it becomes a place for daydreaming. Eyes drift toward the window or stare blankly at the whiteboard, and words go in one ear and out the other. Under the glare of the fluorescent lights, students fidget, doodle, doze, and fail to listen altogether. It can be difficult to focus on a lesson and retain knowledge in such a rigid setting as a classroom. Even as society develops mind-blowing technology, some American classrooms remain woefully outdated with lessons that stick to old-school methods and fail to meet the needs of the 21st century. Fortunately, an app called Lingvist aims to give the classroom an update and put useful knowledge directly into student hands. Lingvist is a language-learning app designed to teach vocabulary words in a self-directed program. Lingvist focuses on building a student’s vocabulary knowledge. There are no lectures or required reading. It’s all about building language skills one word at a time. The app uses smart technology to analyze the individual’s grasp of the language and offer a customized learning program that suits his or her abilities. Its flashcards support individuals learning French, German, Spanish, or Russian. Lingvist also has a mini Estonian course, which just released 100 words in honor of the country’s 100-year anniversary. Since its launch, Lingvist has inspired a community of students and educators all over the world. Whether you want to learn a language to impress a date, live abroad, or communicate with family members, you can depend on Lingvist to provide a personalized structure for improving your fluency in another language. Sometimes learning a second language is a business decision — it can make you more valuable to your employer or more effective at your job. But other times it’s more personal than that. Over the years, Lingvist has seen singles and couples using the app so they can express what’s in their hearts in their partner’s mother tongue. Picking up a second language can endear you to a love interest if you’re in a relationship, or it can help you establish a romantic connection in a foreign country if you’re single. Lingvist’s user-friendly and high-tech tools accelerate the learning process. In 2019, Lingvist aims to satisfy daters around the world by offering vocabulary courses geared toward terms of endearment and other love-related vocabulary. Its Course Wizard feature is currently being beta-tested. It allows users to create topic-specific vocabulary lists to bolster their studies. The special courses are part of the paid version of Lingvist, but whenever you sign up for an account you get a week-long free trial (and don’t get auto charged when it’s over). Plus, we have some inside information that Lingvist will be running a “holiday” for all learners as a special Valentine’s Day gift the 13th, 14th, and 15th of February, so everyone can learn some romantic vocabulary! Lingvist’s team enthusiastically jumped into the project and began constructing mini-courses directed toward singles and couples with love on the brain. This will be useful to anyone hoping to wow that special someone on Valentine’s Day. Hilary herself is multilingual and understands that learning a second language is a personal lifestyle decision. 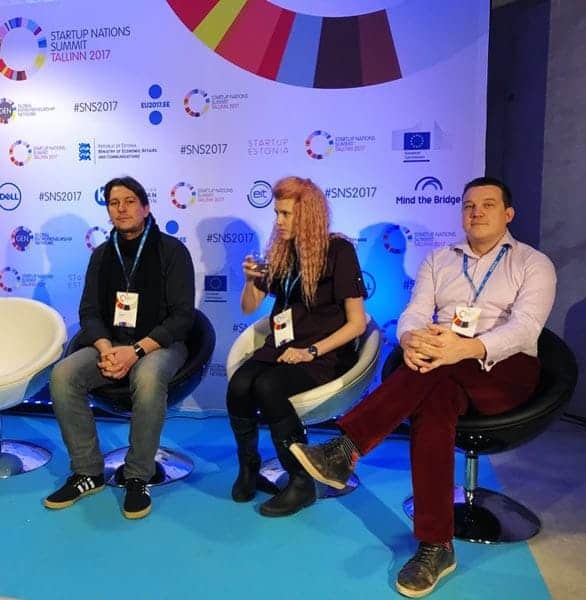 She is fluent in French, Swedish, and Czech, and she is currently learning Estonian because her company is headquartered in Estonia, and her boyfriend is Estonian. The American classroom is undeniably flawed, and its weaknesses are most apparent in the teaching of foreign languages. For one thing, some textbooks offer a baseline of words that often may not be relevant to everyday situations. For another thing, some lesson plans tackle topic after topic with little time spent reviewing old concepts. This means that students are essentially building vocabulary in quicksand. Each new layer of words causes the previous layer to sink that much deeper out of focus. Some educators have begun taking advantage of technology as a way to make lessons more engaging and memorable, but, in general, school systems have been slow to adapt to the 21st century. The Lingvist team has endeavored to provide high-tech solutions for educators and students in the classroom. Its powerful algorithm studies millions of points of data to inform its word selection and provide the user with the right word at the right time. Its system makes learning a language 10 times faster, and no textbook can replicate that process. Now Lingvist has unveiled the Course Wizard to further empower individuals to set their own educational objectives and cater to unique interests when teaching (or learning) a language. The Course Wizard is currently in beta-testing, but it will soon be available to all users on the app. The Lingvist app has demonstrated the power of spaced repetition in learning vocabulary, and Hilary said its smart technology can speed up the learning process in a variety of other subject matters as well. Lingvist has been growing steadily in the last year. As the app grows its user base, the team also expands its library of words — now with over 5,000 flashcards — and brings in new talent. The app will continue adding languages and expanding its current languages to support multilingual adults on a self-directed curriculum. Since day one, the Lingvist team has invested in AI as the future of education. The company is committed to perfecting its algorithm to benefit millions of language learners around the world. The tech startup employs passionate individuals who believe in the power of technology to revolutionize education. This approach has been instrumental in helping adults expand what they know and learn what they need to know faster than they could on their own. Looking to the future, users can expect Lingvist to keep making progress on that mission and continue building personalized tools geared toward language learners and educators. Whether the app is used at home or in the classroom, its effectiveness at teaching a second language has already made a difference in the lives of people in the U.S. and abroad. Students often require a learning environment that sharpens the senses, and that’s why many have excelled in virtual classrooms where self-study programs empower them to follow their interests. A traditional classroom offers a cookie-cutter educational system that may work for some people, but it doesn’t suit adults with busy schedules and distinct goals. By harnessing AI technology, the Lingvist team has pioneered a learning tool with a personal touch and given language education a much-needed upgrade. The app supports individuals interested in learning a language for a variety of reasons. Its curated coursework can help students get a handle on a second language and pick up key phrases that are useful in real-world situations. In the coming years, Lingvist will continue expanding its repertoire to suit a variety of language goals. 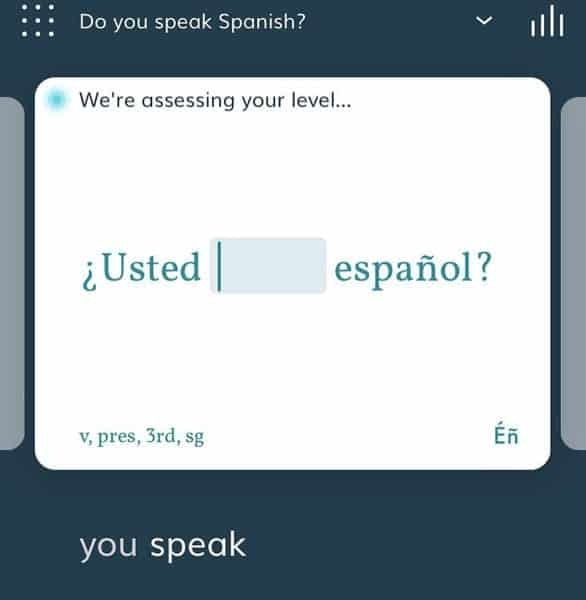 The app’s team is currently working hard to add Latin American Spanish flashcards to the curriculum, and they will also be expanding the vocabulary words in the app’s five current languages.